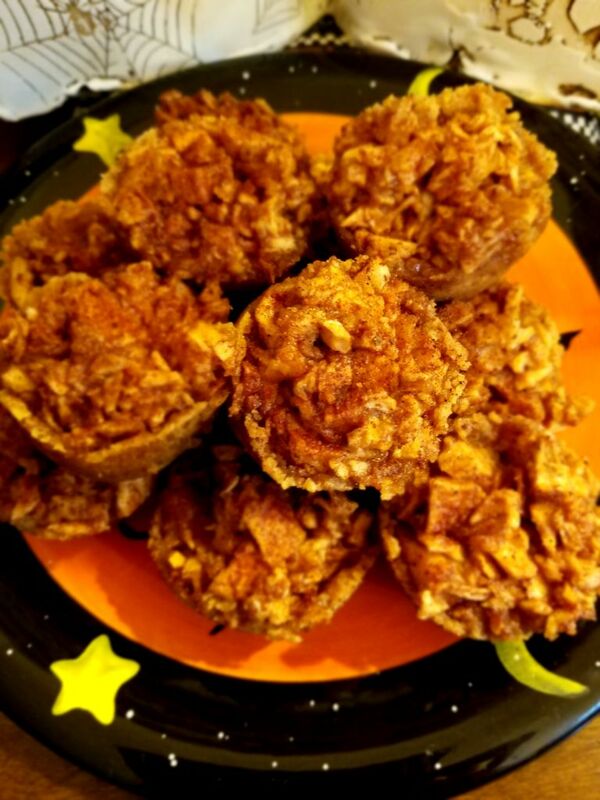 These mini Caramel Apple Crisp Bites will be the talk of any fall get together! When you think of fall, what are some things that always come to mind? I have asked several people this question and one of the most common answers is homemade apple pie and caramel apples. 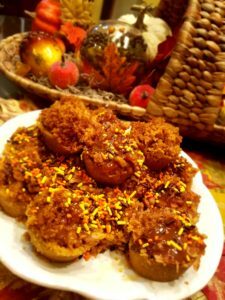 The delicious smell of a fresh pie in the oven, filling the house with the aroma of sweet apples, combined with the spicy scents of cinnamon and nutmeg is synonymous with autumn. And to make it even better, imagine enjoying that delicious warm pie fresh from the oven topped with a nice dollop of vanilla ice cream and caramel…YUMMM. The addition of autumn sprinkles is the perfect way to create a fall festive treat. combo. They became one of our bestselling items. What an easy way to make enough to go around! This year, I had a large harvest from an apple tree in our yard and was trying to decide what to do with so many apples. I knew I wanted to use them for treats to take into work, but it would take several pies to have enough for everyone. Once again, this recipe came to mind. Let me tell you, they were gone in an instant with people asking for more! These adorable little bites are quick and easy to make. They make a perfect addition to any holiday potluck or party, or a great lunch box treat for the kiddos! 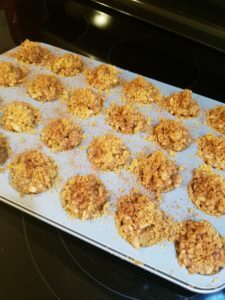 These Caramel Apple Crisp Bites will be sure to become one of your holiday favorites. Preheat oven to 350°F. 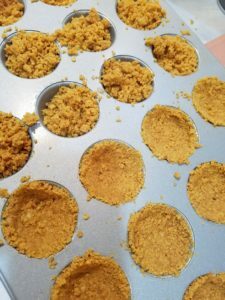 Lightly coat 24 mini muffin cups with cooking spray. 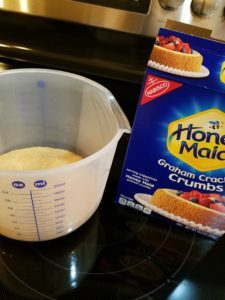 In a medium bowl, combine the graham cracker crumbs and powdered sugar. Mix in the melted butter until well combined. Evenly distribute about 1 Tbls of the crust mixture into the muffin cups. Press along the bottom and sides. Bake 5 minutes at 350°F and let cool completely. Chop apples into small pieces. Add the sugar, brown sugar, flour, cinnamon and nutmeg. Mix thoroughly. until the applies are slightly softened. After removing the apples from the oven, add about a Tbls of the apple mixture into each muffin cup. Sprinkle any excess graham cracker crumbs on top. I also like to lightly sprinkle the top with some additional cinnamon and nutmeg. Bake for 5 minutes at 350°F. Let cool completely. Before serving, drizzle with caramel topping, and then enjoy! Personal tip: I also like to put fall colored sprinkles on for an extra festive look!